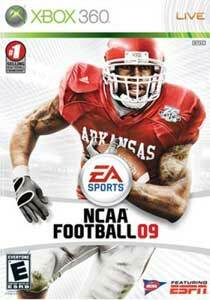 Your in control of a collegiate powerhouse in Dynasty mode or dominating the action with the easy-to-use control system in all-new EA SPORTS Family Play, life on the college gridiron jumps to life like never before with NCAA Football 09. Just Complete each achievement to get the allotted gamer score. Create Stadium Sound (20) Create a custom Stadium Sound event. QB Quiz Success (10) Successfully Complete a Quiz the QB Challenge. Don’t Mess With Texas (10) While playing as the Texas Longhorns, celebrate a touchdown by running to your mascot. Play a Mascot Game (15) Play a Mascot Game with any mascot teams. Triple Threat (20) Score a receiving, rushing, and passing touchdown with one player. Cue the Fat Lady (10) Win a Play Now or Dynasty Mode game by 21 points or more. Get Creative (30) On a non-option play, score a TD with at least one lateral. Go Deep for 50+ (20) Complete a pass for 50 or more yards in a Play Now or Dynasty Mode game. Ice In Your Veins (20) Be the hero and win a game by taking the lead as time expires. Pick Two (15) Intercept 2 passes in a Play Now or Dynasty Mode game. Pick 6! (20) Take an interception back to the house in a Play Now or Dynasty Mode game. Take Control In The Clutch (10) Sack the QB with a user-controlled defender on 3rd down to force a punt situation. Up and Over (10) Take it up the middle in a goalline situation and dive into the endzone. Mmmmm…..Donut (30) Pitch a shutout by holding your opponent to zero points. Valid only in Play Now or Dynasty Mode. I’m Special! (20) Take a punt or kickoff back to the house for a touchdown. Valid only in Play Now or Dynasty Mode. 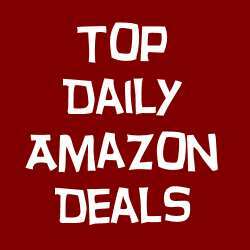 Join the Ranks (10) Play a ranked game. BCS Conference Invite (25) Get an invite to a BCS conference in single team Dynasty Mode. Heisman Memorial TrophyÂ® (25) Win the Heisman Memorial TrophyÂ® in single team Dynasty Mode or Campus Legend Mode. National Champions! 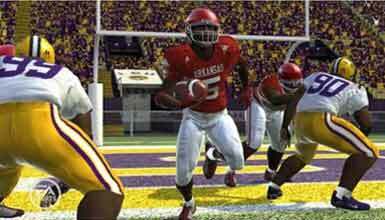 (30) Play and win a BCS championship in single team Dynasty Mode or Campus Legend Mode. Mr. February (30) Have the #1 ranked recruiting class in a season in single team Dynasty Mode. Special Teams Challenge Winner (20) Win the Special Teams Challenge Mini-Game. The Legend of Campus Legend (100) Earn More Than 1,000 Points in Campus Legend Mode. High School Hero (20) Become a 5-star legend prospect. Old Spice Red Zone Perfection (15) Complete a Play Now or Dynasty Mode game with a Red Zone Efficiency rating of 100%. What Were You Thinking?!?! (5) Throw the ball away on 4th down. Nice one.